Sydney wins the first prize for being the most expensive city in Australia to pay off a mortgage! In this week’s market wrap we look at what your earning capacity needs to be to comfortably service a home loan in Melbourne and Sydney. We also find out why we are one of the most indebted nations on the planet. A clearance rate of 71 per cent was recorded this week compared to 64 per cent last week and 68 per cent this week last year. There were 1209 auctions reported to the REIV this weekend, with 860 selling and 349 being passed in, 153 of those on a vendor bid. A record $27bn worth of residential property has been sold by auction in Victoria, so far this year – up 27 per cent (6bn) on last year. According to a recent study conducted by Mortgage Choice, you need a six figure income to be able to comfortably afford to buy a home in 5 of the 8 Australian capital cities. Broker Mortgage Choice calculated the numbers based on a mortgage rate of 5.61% to determine the minimum amount of gross income a household requires to service a home loan with no mortgage stress. Unsurprisingly, Sydney won first prize as being the most expensive city in Australia for a buyer to pay off their mortgage. Based on the city’s median house price of $840,000, a typical home owner would need to be earning a whopping $154,482 as a minimum wage before tax. Ouch! If you want to buy within 20kms of Sydney’s CBD that figure would jump even higher as median house prices for these areas are at $1million. If you are thinking let’s buy a unit in Sydney, the picture doesn’t get much better with an expected $155,000 gross income required to buy one of these type of properties. Next Melbourne. So Melbourne’s a bit cheaper than our Sydney counterparts, right? That means we won’t be handing over our soul to the banks to own a home right? Uhm sorry no. Things get a bit cheaper but not by much. In Melbourne, where the median house price is lower at $575,000 (Core Logic RP Data), the annual household income would have to be more than $104,666 to avoid mortgage stress. For units the combined salary drops to $86,436. Better start saving, being nice to mum and dad or, find a second and third job kids! The alternative unfortunately is renting for life! No wonder we are one of the most indebted nations on the planet. What’s interesting though is that much of the debt has been accumulated by the 30-50 year old age group but what’s even more interesting according to the APM Natsem report is that the most indebted households which have increased their debt by 180% since 2004 are the older demographic, aged 65 and over. Thinking about it, this would make sense because this age group would have retirement and funding their current lifestyle as their number one prirority. They would have also seen an incredible growth in the value of their own home and so built some equity and significantly grown their wealth, and now can use this collateral for more investment property purchases. 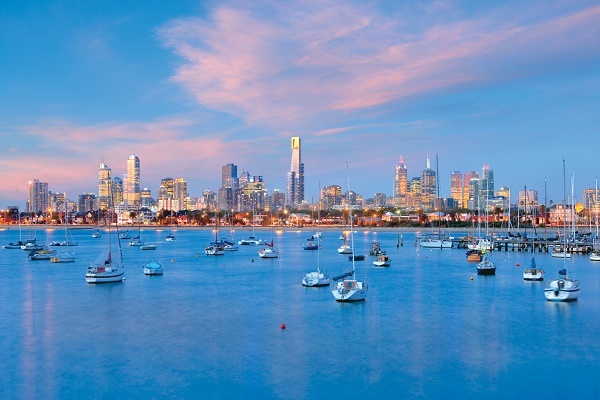 Melbourne’s median price growth of over 30% the past two years has been the nail in the coffin for most first homebuyers looking to buy a home close to Melbourne’s CBD. Over the weekend a surprising 71% clearance rate was recorded from 1209 auctions (REIV). Unfortunately we are not witnessing the buoyancy in the market these figures indicate. In fact, these past three weeks conditions have deriorated to a point where these have been the best buying conditions for our buyers all year and, as a result, have managed to secure four property purchases for the week, patience after all does pay. With only 11 days until Christmas there are some very nervous vendors who have left their auction/sale and hope of a result until the very last minute. This coming weekend with another 1600 plus auctions booked in, the last Super Saturday for the year, expect more tense times ahead. We noticed a marked change, during our negotiations last week we found vendors and real estate agents more ‘flexible’ in our dealings with them. Settlement terms, lower deposits and lower offers have all been entertained, all signs of a softer landing for the property market, but all is not lost. This time last year I was experiencing identical conditions and buying up a storm as well. Then February 2015 came and the property market lit up again. We will have to wait and see how next year’s first quarter shapes up before passing judgement on where the Melbourne property market is heading. Our economy is not faltering, in fact last week’s latest unemployment figures were the best set of numbers since 1988. Low interest rates, a stable economy and low unemployment should underpin a bit more of a steady market next year. This is our final wrap for the year. Thank you to everyone who has followed and supported us through our journey which is property. We will return in February 2016. Merry Christmas and a very Happy New Year to you and your family.